From the back-end of your Joomla site (administrator), select Extensions >> Module Manger, then click on module named JA Countdown to go to configuration panel. 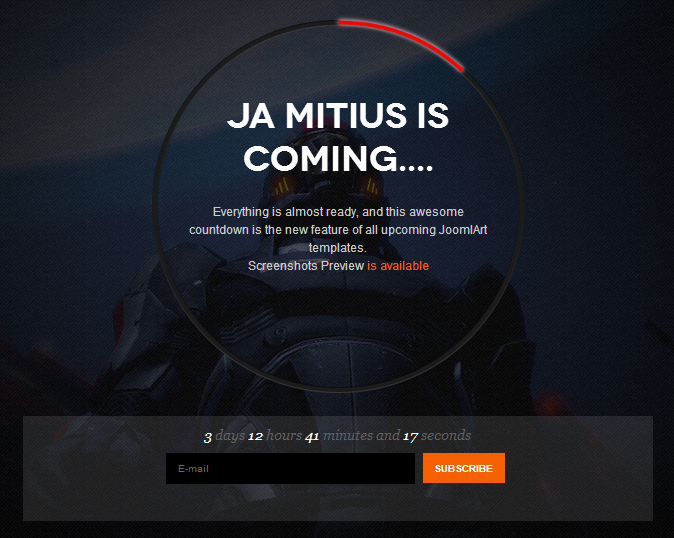 Custom titles: enter the title for the Countdown block. 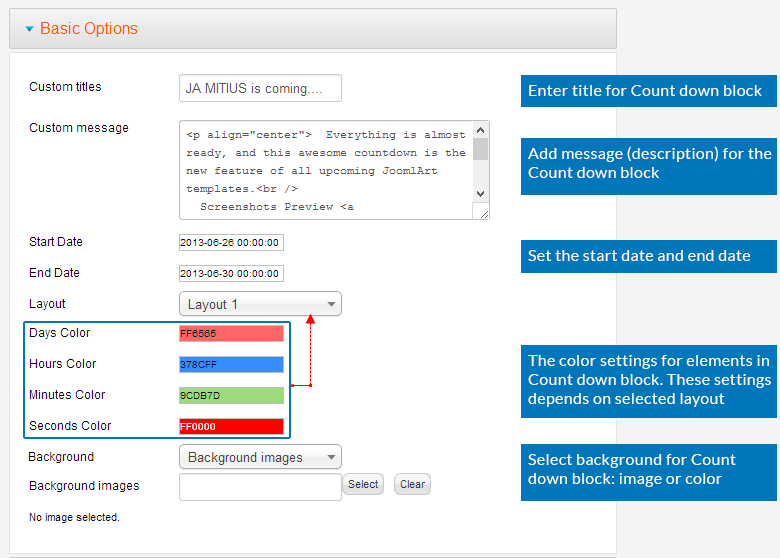 Custom message: enter the message (description) for the Countdown block, using HTML tags to format for the message. Start Date: set the start date. End Date: set the end date. Layout: select the layout for the count down block. There are 5 layouts available, each layout has different color setting for its elements. Days Color | Hours Color | Minutes Color | Second Color: set the color of number in day, hour, minute and second circle. These settings depend on selected layout. Background: select background type for count down block: image or color. Background images: set the path to the image that will be displayed as background of count down block. Background images: set color of background of count down block.